Owner and general manager of the MIX convenience store in Skøyen station, Lasse Larsen, is setting a new trend. He's installed eleven digital displays, all powered by DatabeatOMNI, across his entire shop. As standard, the MIX convenience store chain does not use digital signage. However, Lasse Larsen wanted something more when he opened a new MIX store in Skøyen station, Oslo. "I'm responsible for all the investments made in the convenience store," Lasse told us, "but I'm confident that digital display technology is an investment that pays for itself. It costs less while looking better than printed posters. It is also much easier in terms of maintenance. It takes a minimal amount of time to publish content and I get to decide when to publish it. A printed poster does not offer the same flexibility." In the store's window, facing the pedestrian passage, you can see the first of the eleven screens. A beautifully bright 55-inch display grabs the attention of hungry travellers with pictures of the delicious food and drink on offer inside. It also displays various deals and offers, enticing customers to the store. "For many, this screen is the first impression they have of the MIX store. People are in a rush to get through the station so I only have a few seconds to command their attention. I need to show them pictures and offers that make them stop and come inside the store,” says Lasse. Lasse cleverly changes what is displayed on this screen depending on the time of day: coffee and breakfast menus in the morning, lunch offers in the middle of the day and grab-and-go hot dogs in the afternoon. "We have often experienced times when a customer comes in and asks for the deal or the item that is the running on the screen at that moment. There is no doubt in my mind that digital display screens work brilliantly – they grab people's attention and drive traffic to the store." Want to see how screen publishing can enhance your organisation? Start a conversation with us. Lasse decided to install two displays next to the in-store coffee machine. These screens promote the various coffees on offer whilst also advertising the tempting pastries and cakes the store sells. The content also informs customers of the many promotional prices that are available. "These two screens function as an attraction to get customers over to the coffee machines and gives them the chance to decide on what to eat while they wait to fill their coffee cups,” says Lasse. Behind the till, a series of digital screens hang on the wall. Various content is displayed to provide customers with more information on what treats the store has to offer. But, unlike static posters, these signs can adapt. Lasse has many years of experience in the industry. He has seen many great posters end up in the storage room. Out-of-date posters that promote out-of-date offers are something neither Lasse or his customers see any value in. MIX Skøyen opened for business in the summer of 2017. After just a short period, the corporate office came and visited the store because they wanted to see how the digital displays were being put to use. They were so impressed that they decided to reevaluate their entire visual strategy. Not only were head office inspired by Lasse's use of the screens, but so to were the employees who work for him. 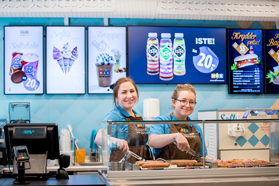 Veronica Filipsson and Merethe Stensland, who work at MIX Skøyen, have grown very fond of their new digital displays. "They function very well because they look so good and they're dynamic with ever-changing content. People see posters and just carry on walking by, but with our new screens they stop and come in to purchase," they told us. Easy to produce and publish content. Flexibility – They can change content when they want to. Automated content depending on weather and season. Fix typos or mistakes in content. Functions as a magnet, driving customers into the store. The screens inspire customers to purchase more once they're in the store. 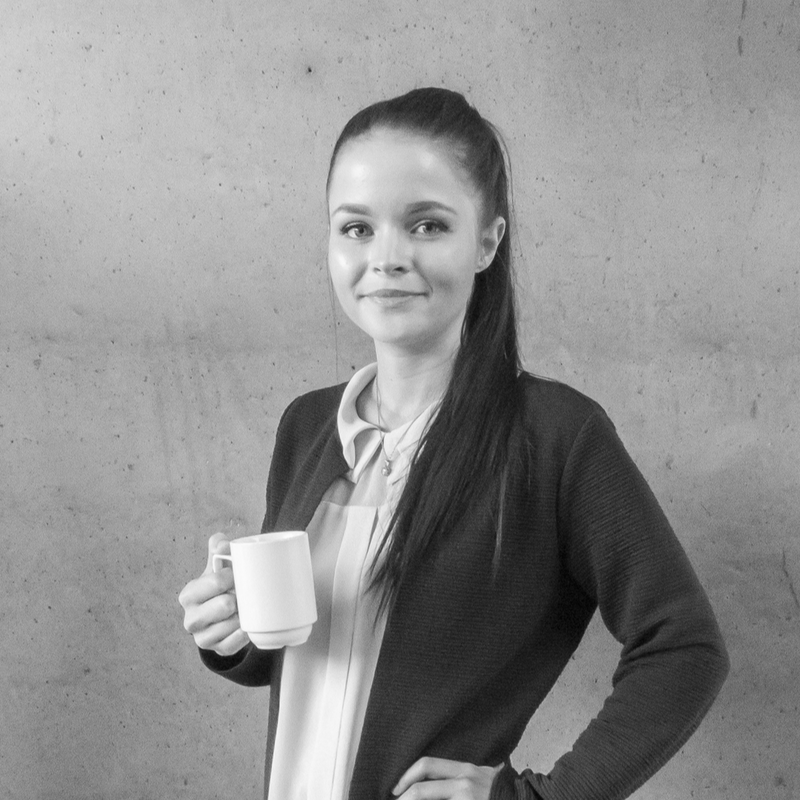 You've read about how DatabeatOMNI changed the way Lasse in Skøyen does business, now find out for yourself the true power of DatabeatOMNI. Get in touch with us and start your free demo today.